This guide is for players familiar with the boardgame rules, and are getting started with the digital edition. This game comes with all 15 of scenarios available in base Command and Colors Ancients boardgame. 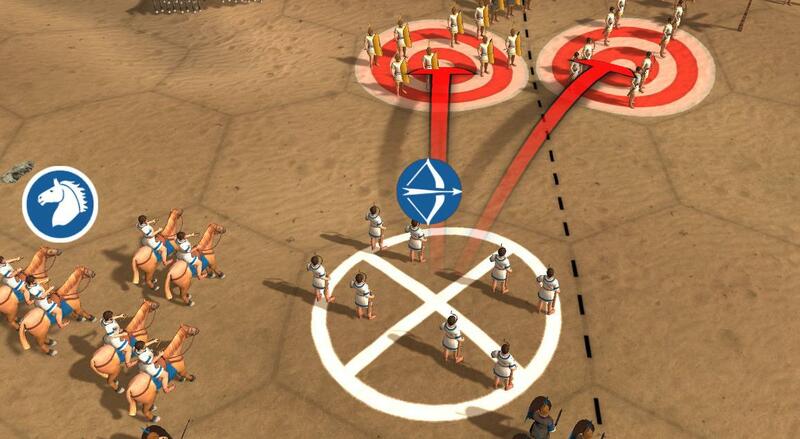 Each battle can be played against the AI as either side or head to head against a human opponent on the same device. The game doesn't currently support multiplayer. It doesn't include content from any of the expansions. When you start the game for the first time, I recommend going into the settings and checking the 'Skip Animation', 'Skip Dice Rolls' and 'Hide Tutorials' boxes - these all slow down gameplay. From the main menu select 'Campaign' then 'Start Match', from here you will be presented with the list of the 15 scenarios. On the left sidebar is the scenario list. In the centre, the map and scenario background, plus the all important number of Victory Banners you need to achieve to win the scenario. On the right, you can select which side to control as well as the difficulty of the AI if used. Somewhat un-intuitively, the top selection controls the army on the bottom of the map e.g. 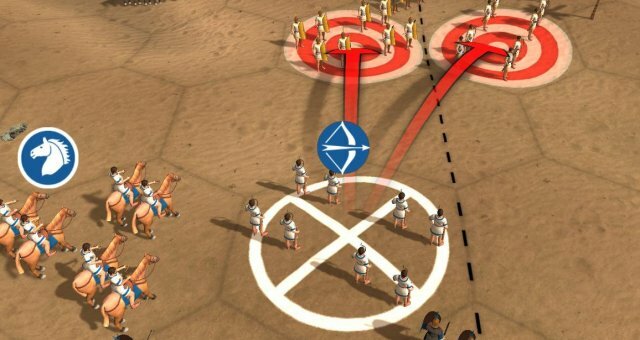 for Akragas, the top player controls the Syracusan army. Hit 'Play' to start the scenario. Your hand of Command Cards is presented at the bottom of the screen. You can hover over any of the cards to read the full description. Select the card to be played, then confirm the selection. Eligible units are highlighted blue. Select units to be ordered. Cards that require units to be adjacent will limit your selection based on the first unit selected. With Leader based cards, select the Leader first. Units will able to move to any white highlighted hex. Auxillia movement rules (no battle) shown by green highlight on hex. Warrior movement rules (must battle) shown by red crossed swords highligh on hex. Units eligible to battle are highlighted yellow. Units may then battle in order of choosing. When eligible to Evade or forced to retreat, you will shown the available destination hexes in the same manner as the move highlight. A new command card is automatically drawn. First Strike - if you have this card, you will be prompted to play the card or ignore it each time the opponent battle one of your units. Leadership in Section cards - you must first select the Lone Leader or Leaders unit before selecting adjacent cards. Clicking the turn counter in the top right shows how many Victory Banner each side has / needs. Selecting the 'Flame' menu item shows the cards that have been discarded, useful if considering playing the Counter Attack.